Technical analyst Rajesh Satpute maintained 'buy' rating on Cipla Limited stock with a short term target of Rs 380-385. According to analyst, the stock can be purchased with a stop loss of Rs 320. Today, the stock of the company opened at Rs 341.10 on the Bombay Stock Exchange (BSE). The share price has seen a 52-week high of Rs 380.80 and a low of Rs 301.10 on BSE. Current EPS & P/E ratio stood at 12.33 and 26.84 respectively. 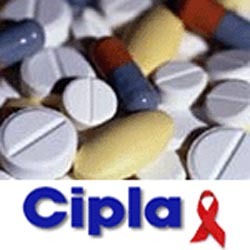 Cipla Ltd has declared that a conference of the company's directors will take place on February 04, 2011, inter alia, to consider and sanction unaudited financial outcomes for three month period ended December 31, 2010 (Q3). Cipla Ltd rejected a media story that said the beginners of Indian generic drug maker are making plans to sell their complete equity stake in the company. In a declaration, the company said, "The company would once again like to reiterate that these [sell out] rumors are absolutely baseless and are purely speculative in nature and the company has no intention whatsoever to do any stake sale." Previous statements in the local media stated that Cipla's founders were making discussions to sell their equity holding of 37% to a international pharma company. The report added that Cipla's meeting with Merck KGaA looked to be the most innovative, and that the stake could be priced around Rs 80 billion ($1.76 billion).